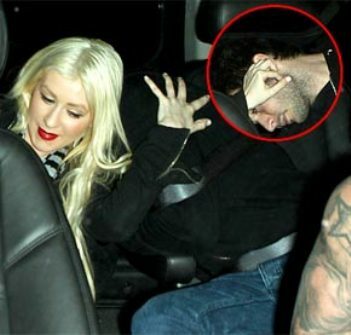 Christina Aguilera Has A New Boyfriend. Yes, Already. Within days of announcing her split from music producer husband Jordan Bratman, singer Christina Aguilera was linked to go-to Hollywood lesbian Samantha Ronson. But she must have just been getting something out of her system, but she’s back to boys. Rumor has it Christina Aguilera is dating a production assistant by the name of Matthew Rutler, who she met while filming her new movie Burlesque. Yes, a production assistant. That’s like a princess dating a peasant. But the fawning friend insists Christina’s #1 priority is still her 3-year old son, Max. “Being a great mom to Max is the most important thing in her life,” the friend assures us. next post: Dina Lohan Admits She’s A Gigantic Idiot. Sort Of. 50 queries in 0.649 seconds.